Before I forget to mention itâ€”and it’s a miracle that I remembered to do this seeing as I meant to write about it a month agoâ€”I am the proud owner of dapper little iPhone pouch handmade all the way in Austria by the awesome fellas over at Hardgraft. It’s quite the showstopper, I must admit! Surprisingly sturdy yet very dashing wool felt plus a super soft leather pouch for card storage have quickly made the little guy a must-have in any situation. This all came about after Hardgraft held a contest over Twitter to simply retweet the contest information for a chance to win. I proceeded to scream into my hand and then scream into a pillow and then scream into my hand rested on the pillow upon hearing the good news. I don’t win contests, you don’t understand. Initially I had been thinking weeks before this to pick up one of their Y+U MacBook Pro sleeves but couldn’t bring myself to spend that much money to protect my already ancient (in Apple years) device. However, this happy surprise helped assuage the yearning for the time being! Detail images from the actual one I received after the jump. 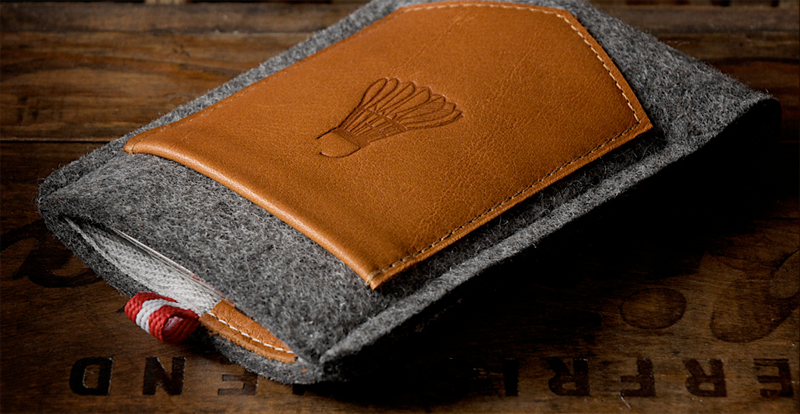 Photos of packaging, leather, wool, and interior detail. They also sell a variety of items on their online store that are not nearly as expensive as the Macbook case if you’re looking to own a piece of this well-crafted goodness. I highly recommend them plus they ship fast!